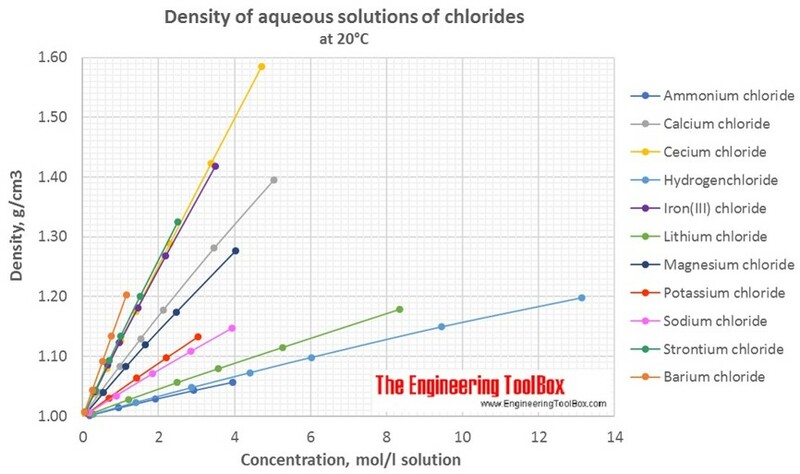 Changes in density of aqueous solutions with changes in concentration at 20°C. 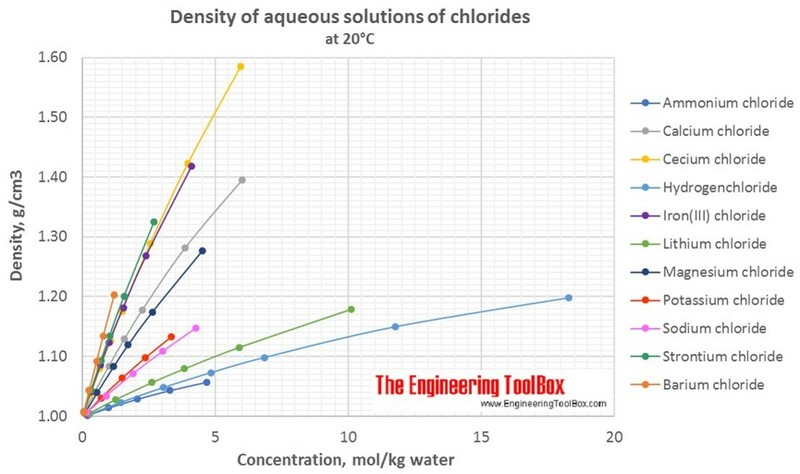 Density of inorganic chlorides in water is plotted as function of wt%, mol/kg water and mol/l solution. Values are tabulated below the figures. See also density of aqueous solutions of inorganic potassium salts, inorganic sodium salts, some other inorganic substances, organic acids and organic substances as sugars and alcohols. For full table with Iron, Lithium, Magnesium, Potassium, Sodium and Strontium Chloride - rotate the screen! Engineering ToolBox, (2017). 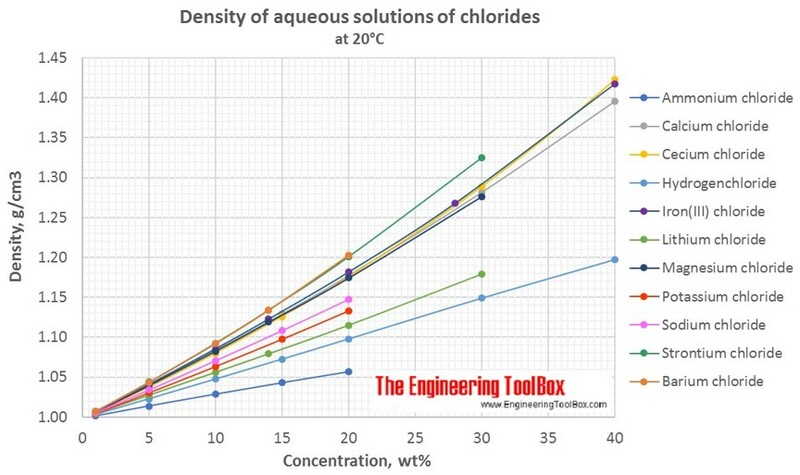 Density of aqueous solutions of inorganic chlorides. [online] Available at: https://www.engineeringtoolbox.com/density-aqueous-solution-inorganic-chlorides-salt-concentration-d_1955.html [Accessed Day Mo. Year].